The Royal Commission has come down hard on mortgage brokers, but strangely enough, this is a free kick for investors. So Hayne delivered the findings of his Royal Commission last night, and with 76 recommendations, it really is a mixed bag. The good news is he’s not recommending that the government should do any more to clamp down on credit. That’s a relief. He does argue that the industry could do more to follow the rules that are there, but that’s pretty sensible. The relief for me is that there is nothing new in the report – nothing we didn’t now already. I was afraid we might see something that screwed down the credits taps even further. Probably the biggest shake-up is in store for the mortgage broking industry. As you know, the banks pay your mortgage brokers fees, but Hayne wants that to stop. And with the government and Labor saying they will implement all 76 recommendations, this looks likely to happen. Trialling commissions will be first to go, but Hayne also wants to stop banks paying your mortgage broker any fees at all. That means that if the mortgage broking industry is going to survive, it will need to start charging customers directly. That’s going to be a tough proposition. For some people a mortgage broker is essential. Either their financial situation is tricky and they really need to shop around to find a lender that will take them on, or they’re an investor like me, where the optimal financing solution is essential to my investing strategy. But I doubt that we’re the majority. I imagine most people will be happy to trade their broker for Google if it saves them a few thousand dollars up front. I really think mortgage brokers have been set up as the fall guys here. 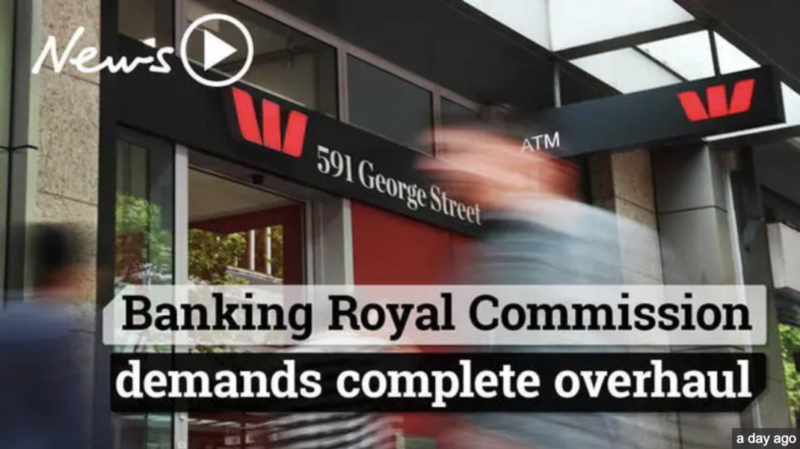 Literally none of the horror stories that came out of the Royal Commission had anything to do with brokers, and the majority work hard to serve their clients to the best of their abilities. But heads had to roll. Anyway, as much as I think this is probably a backward step for the industry as a whole, it’s actually a big free kick to investors like me. As I said, to me a mortgage broker is essential. They’re a central player in my A-team. And I’m doing enough volume that having a mortgage broker on the payroll is well worth it. And a few pips here and there might not worry mum and dad investors, but it can make a big difference to my game. But now think about what happens to the playing field… I’m entering the market with a mortgage broker at my back. But I’m going up against buyers who have chosen their lender based on the fact that they like blue more than red. They’re probably over-paying for their mortgage and getting less than they otherwise could. As a serious investor, I have more access to credit than the ordinary buyer. I’ve got the biggest gun. When everyone has access to a mortgage broker and through them, the entire financial system, it is a much more even playing field. Now, serious investors have been given a free kick. And what I predict is that buyers will rush back into the arms of the big banks just to save a few hundred dollars… until they realise that the banks don’t give a toss about them at all, and off-the-shelf solutions are only fine if you are happy with off-the-shelf outcomes. As I said, to me a mortgage broker and a financial planner who really understands my situation and where I want to go is essential. I need them in my corner. I’m not going up against the banks on my own. No way! Basically I’ve made them all do my full training so they really “get it”.. These are the kind of brokers you need behind you if you are going to invest seriously. But, whatever you do, as the industry changes, get a mortgage broker and a planner in your corner. It’s going to make all the difference.